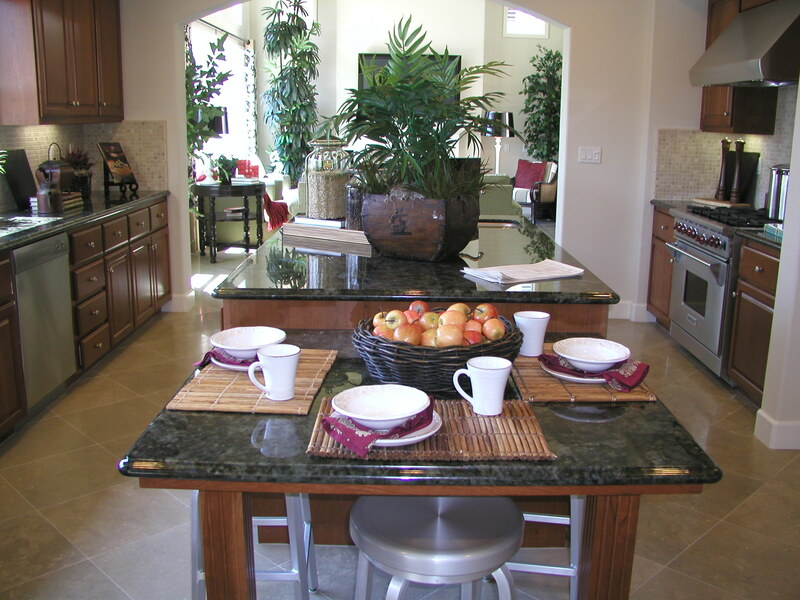 The sky is the limit in terms of personal choice and taste in decorating your home. And, this extends to flooring too. The earliest homes had dirt floors that fulfilled a purely practical purpose. Now, our choice of flooring now also incorporates design tastes and the overall aesthetic look we wish to create in our homes. This is especially true for the modern lounge where a large part of the family’s time is spent. Here are the most popular flooring options for the modern lounge. Hardwood flooring such as Oak is a classic choice and can form part of a traditional or contemporary design. Timber flooring, depending colour and finish can look elegant or rustic. It usually comes in the varieties of strip, plank or parquet. It is hard wearing and t does require some care. Although usually a soft brush and mop and perhaps an occasional polish will keep it serviceable and looking good for years to come. An extremely popular choice for the flooring in a modern lounge is wall to wall carpeting. This is due to its inviting look and cosy feel underfoot. It is available in an endless range of colours, patterns and textures to suit any design theme or taste. it is available in different materials from natural (wool) to synthetic (nylon, polyester etc). Carpet is a low maintenance option with regular hoovering keeping it in tip top condition. Carpet flooring also has insulating, heat saving and sound muffling qualities. So, it can be an excellent choice for a busy (and noisy!) family. For a modern lounge, striped carpets are very on trend. Or, you may prefer a neutral palette with a deep pile to give a luxurious finish. Tiled flooring in the modern lounge could perhaps be considered a less conventional choice. But, it is becoming increasingly popular with those bringing up small children or with pets in the home. This is because of its extremely hard wearing and also stain and water resistant properties (if topped with a protective glazing). Washable rugs can be put down to soften the design of the room depending on personal choice. And, underfloor heating can also be used with ceramic tiles to keep little and big toes warm! Tiling comes in many different materials, colours and textures with ceramic, cement, limestone and travertine perhaps being the most commonly used. 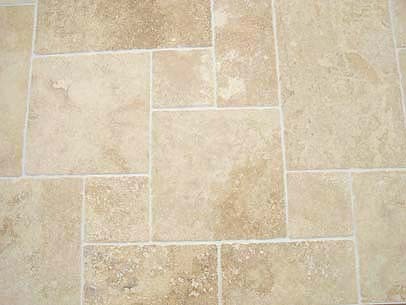 Tiling is the easiest type of flooring to clean – simply a quick wipe is all that is needed. It is also ideal for anyone who suffers allergies as it does not hold onto dust, spores and other allergens. 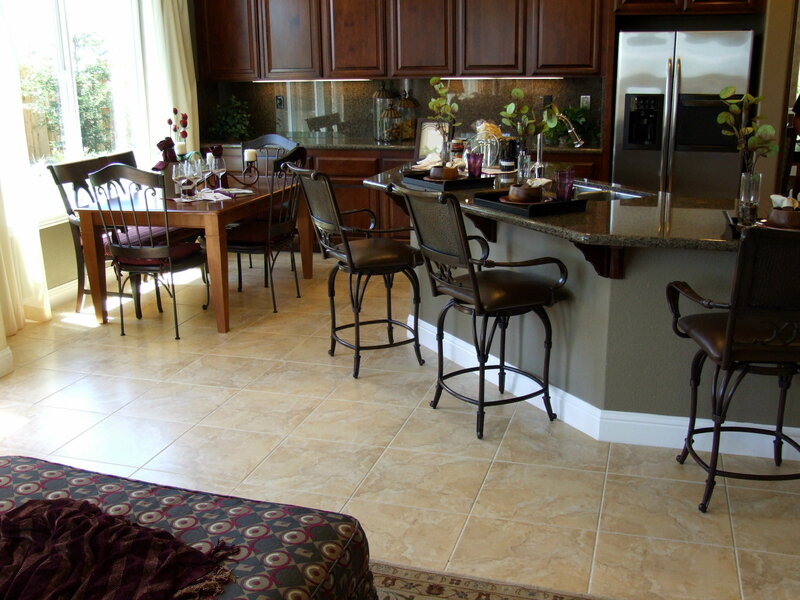 It is cost effective in that it is easy to maintain for years with any cracked tiles being easily replaced. Very much leading the design style statement in a modern lounge is the use of porcelain, glass or marble tiles to create a sleek, contemporary yet practical style statement. Like wood, tiled flooring can add the wow factor to your modern lounge as well as adding sustainable value to the overall value of your home for many years to come. With all these options to consider, what’s your flooring of choice for the modern living room?